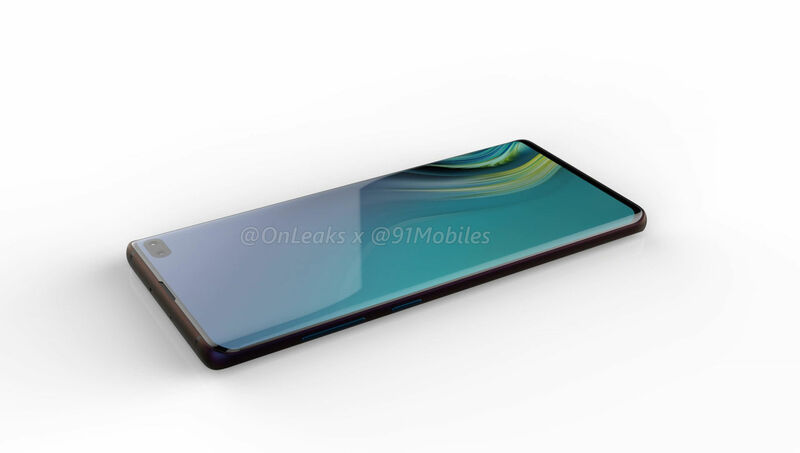 [Update: December 4th]: We have just received updated Samsung Galaxy S10 Plus renders from OnLeaks, which reveal four rear cameras instead of three, as was originally shown. The shape of the flash and sensors are slightly different as well. 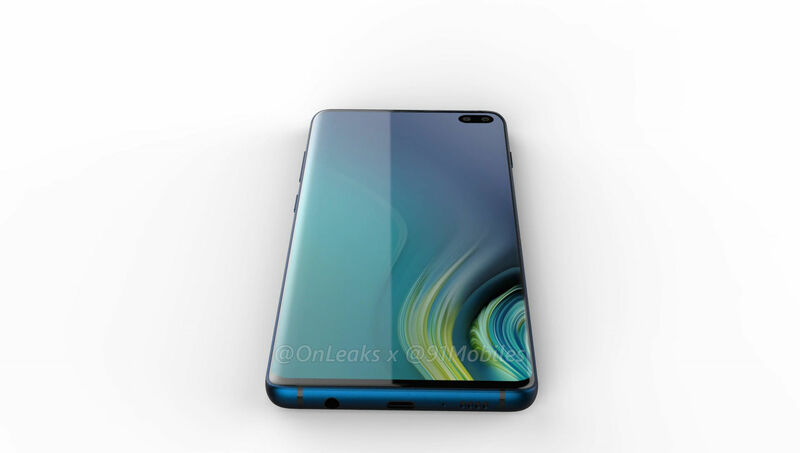 Apart from this, the bezels around the display also appear to be slimmer on the new renders. We’ve replaced the original renders in the post with the new ones. 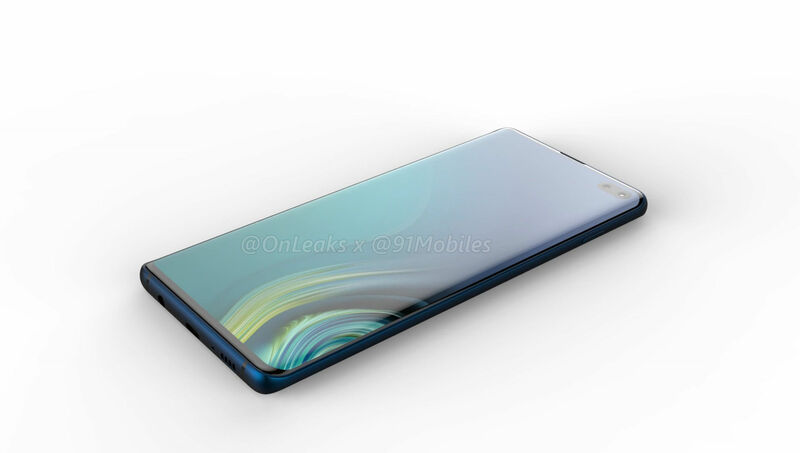 We can confirm that the Galaxy S10 Plus will ship with a 6.4-inch dual-curved edge display, which is in line with earlier leaks. 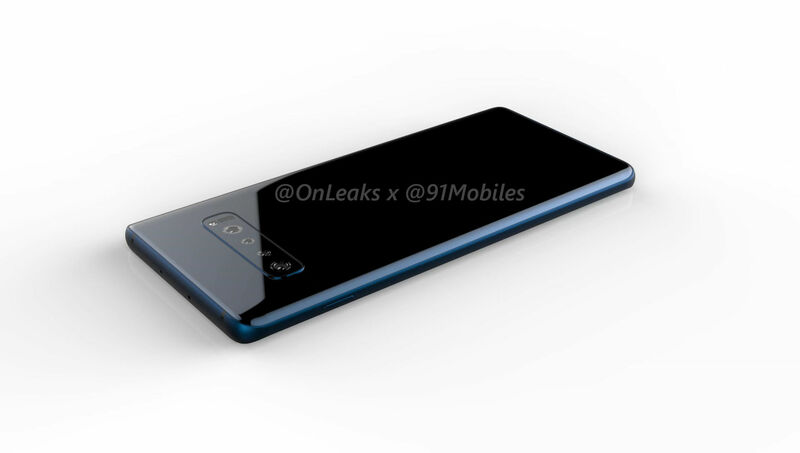 The display is expected to be an AMOLED panel with QHD resolution, similar to the Galaxy S9 Plus (review). 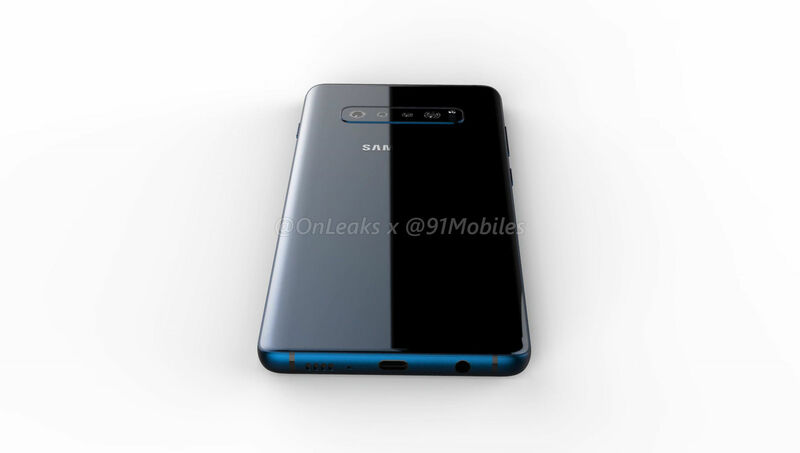 As you can see from the renders, the S10 Plus features triple four rear cameras alongside an LED flash, which appear in a horizontal setup that’s reminiscent of the Note 9 (review). The cameras are expected to include a standard lens, telephoto lens and a wide-angle lens. The front, however, is where things get interesting. 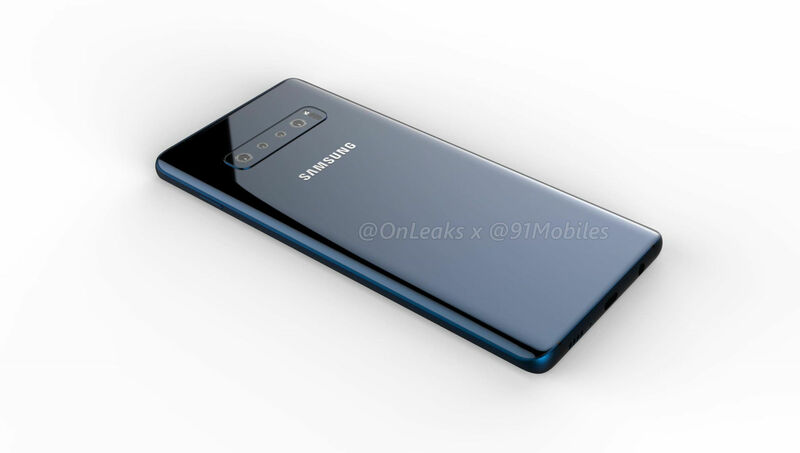 The dual selfie cameras appear to be piercing the display on the top right corner. We’ve seen Samsung demo this selfie camera placement at its developer conference last month, which the company calls the ‘Infinity O’ design. 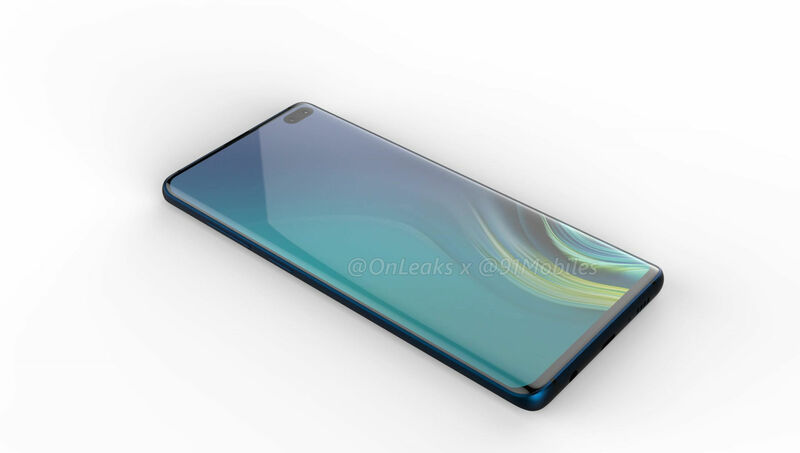 Thanks to this front camera placement, the S10 Plus sports a nearly bezel-less display, and is likely to offer among the highest screen-to-body ratios of any phone in the market. 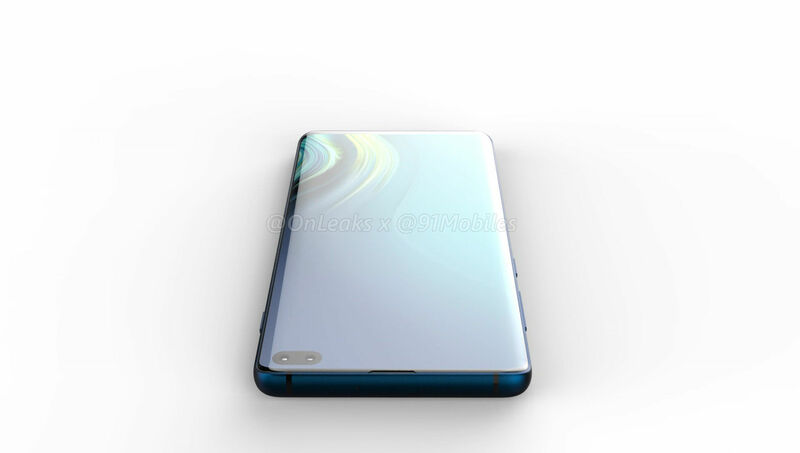 In terms of the dimensions, the S10 Plus measures 157.5 x 75.0 x 7.8mm. With the slight rear camera bump included, the thickness stands at 9mm. 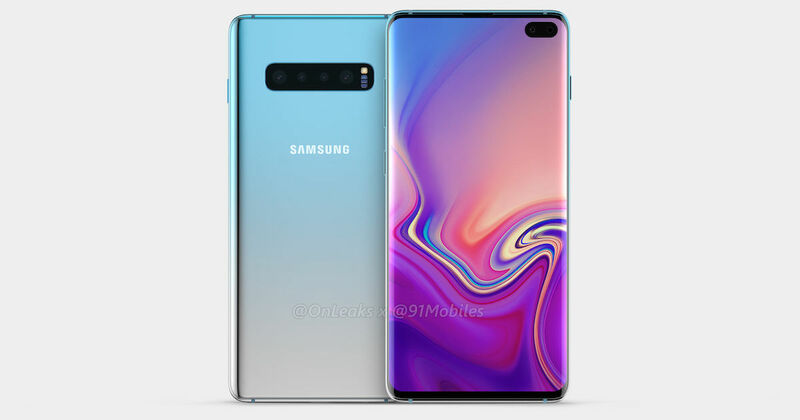 The 5K renders of the Galaxy S10 Plus depict the smartphone in a gradient Ice Blue hue, which was recently launched for the Galaxy S9 and S9 Plus. 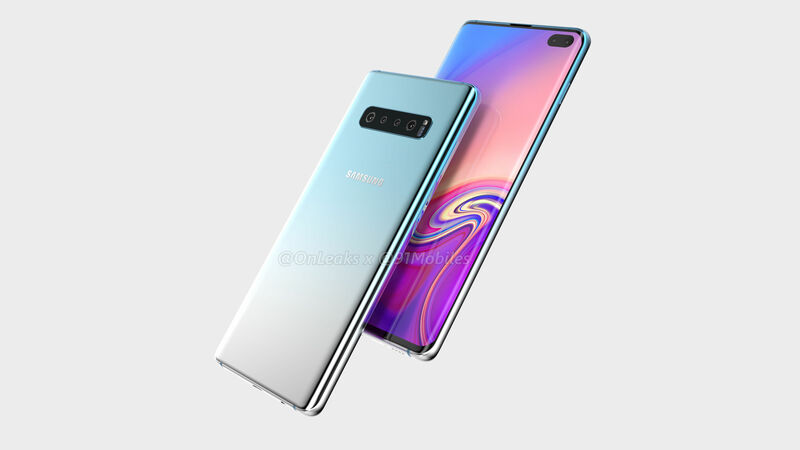 We can also confirm that the Galaxy S10 Plus will feature an in-display fingerprint sensor – a first for Samsung phones. Notably, the fingerprint sensor is rumoured to be an ultrasonic one, using sound to read the map of your fingerprint. This is expected to faster and more accurate than the current crop of optical in-display fingerprint sensors we’ve seen, such as the sensor on the OnePlus 6T (review). 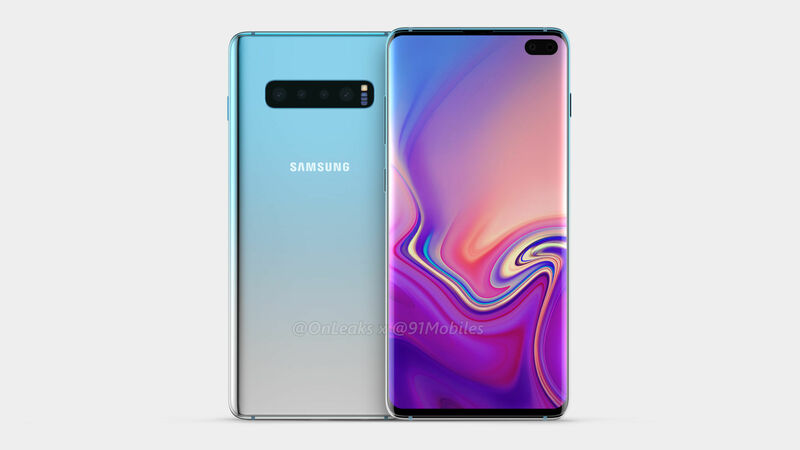 Apart from this, the Galaxy S10 Plus is expected to ditch Samsung’s iris scanning feature and make use of a new version of face unlock instead. 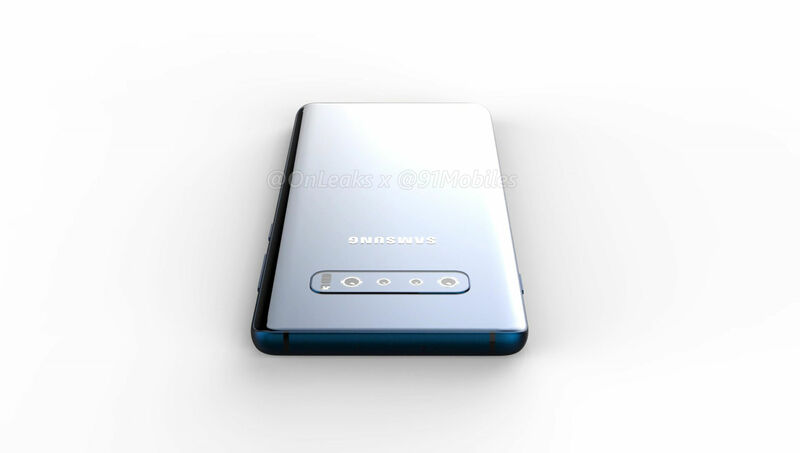 As for the ports and buttons, the S10 Plus retains the good ol’ 3.5mm audio jack, which is placed alongside the USB Type-C port and loudspeaker at the bottom. 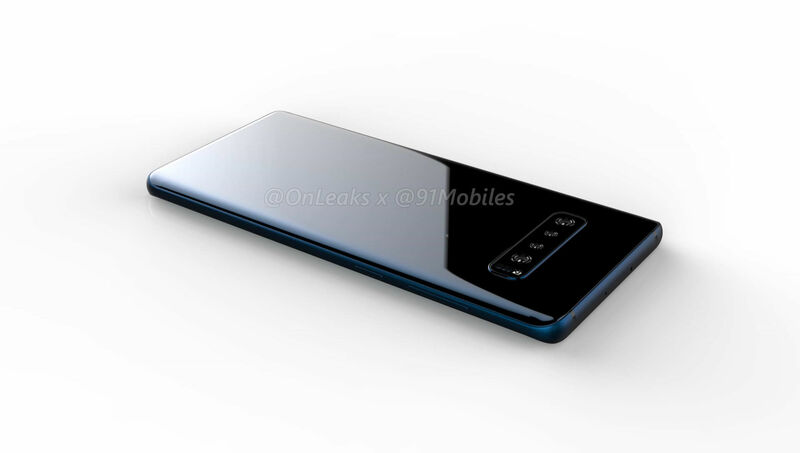 The ejectable SIM card tray is on the top edge, the power button on the right and the volume rocker and dedicated Bixby button on the left. 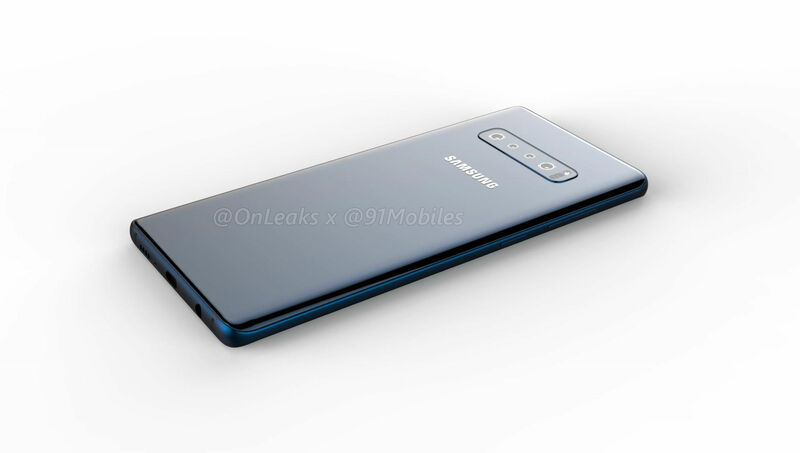 There’s a small cutout for the earpiece at the very top, and Samsung branding at the rear. 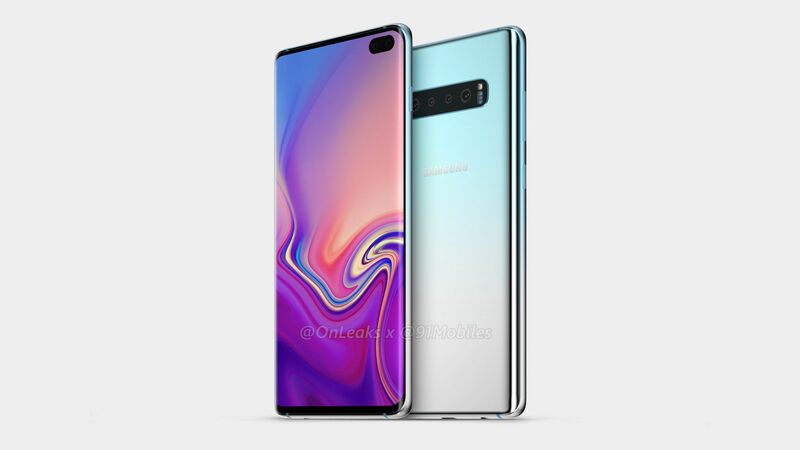 As for the other specs, we can expect the Galaxy S10 Plus to come powered by the upcoming Qualcomm Snapdragon 8150 flagship processor in the US. In other markets, including India, the device will sport the latest Exynos 9820 SoC, which recently notched an impressive AnTuTu score. 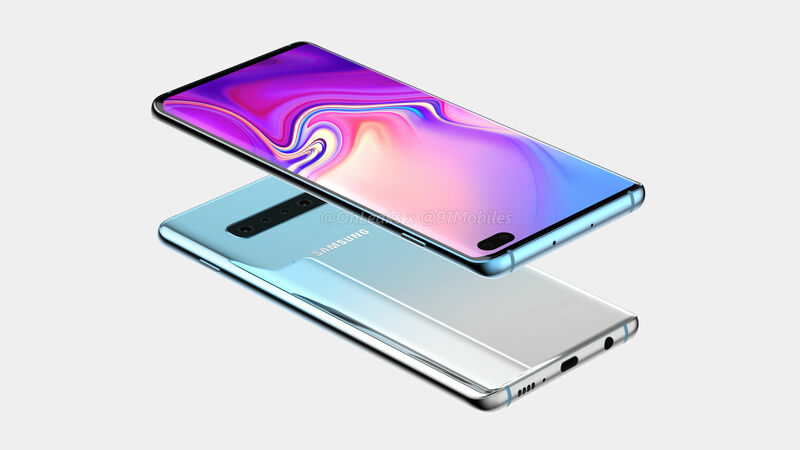 While some reports point to the Galaxy S10 Plus having up to 12GB RAM and up to 1TB of storage, we would place our bets on a more conventional 6GB / 8GB RAM for the Plus model. On the software front, it should run Android Pie, layered with Samsung’s new One UI. 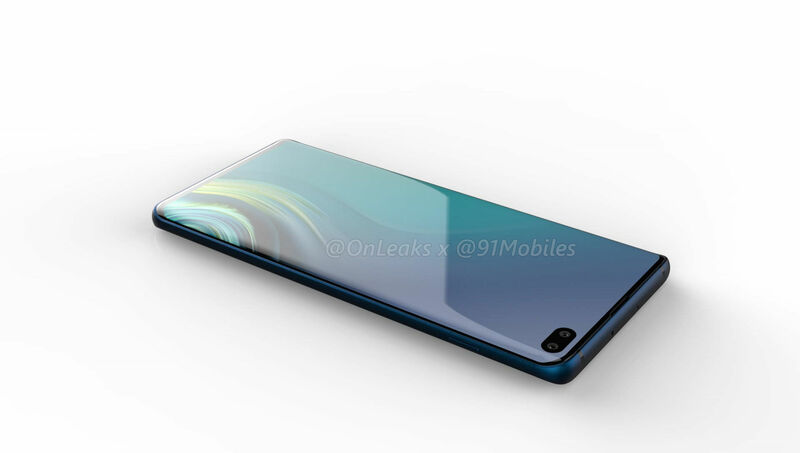 That’s all the details we have on the Galaxy S10 Plus for now. Stay tuned to 91mobiles for more on Samsung’s upcoming flagships.